Sean Taylor-Richardson presents the first of his new monthly guest article series. 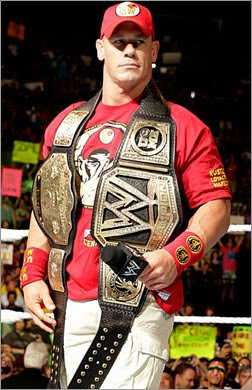 This month Sean considers who could step up to fill John Cena's shoes over the next few years. As John Cena prepares to vacate his spot as the WWE’s top dog, who will Vince choose to be the man in the Fed? John Cena’s rather unfairly maligned run as WWE’s franchise player is coming to an end. As consistent a performer as he’s been and as exciting as his US title exploits have been this year, there are too many miles on the clock for John to continue to be positioned as the long term headline act of the company. Couple that with his impressive turn in Trainwreck and the subsequent lure of Hollywood, and it seems likely that as committed as he is to WWE, he may soon adopt a reduced role. Sure, he’ll at least tie Flair’s World title record in the coming year but I’d wager that will be a short run before dropping the belt to the next big thing. But who will that be? Cena has been Vince’s man for a decade: just who would he trust to fill these very big shoes? Let’s look at the contenders. Roman Reigns will get a World title run; we all know that. He, more than anyone, has the look and that means a lot. Indeed the smart money is that he wins the strap at next year’s Wrestlemania but then wasn’t that the vibe last year? Fans rejected his previous push as it felt too premature whilst the return of sentimental favourite Daniel Bryan further enhanced the notion of Reigns as undeserving of the ultimate accolade. Will things be different next year? Reign’s in-ring work is reliable, even underrated, as borne out by his collection of good to great matches with Big Show, Bryan and Brock Lesnar this year. Furthermore he has paid some dues, undoubtedly putting in impressive shifts each week, doubling up on Raw and Smackdown and working lengthy, competitive TV matches away from the glare of main events. Certain crowds still turn on him (see Brooklyn at Summerslam) but such responses are less frequent than they were at the turn of the year. Indeed Reigns now headlines house shows tours opposite Cena and has on occasion comfortably outdrawn him. Is this a sign that people are ready to grant Roman the chance to prove himself? Clearly Vince will afford him that opportunity and it’s a given that Reigns will work hard when he gets the chance. But with the crowd more vocal than ever, will that be enough? Ambrose is a very good wrestler and an even better talker. He always gets good pops and sells a fair bit of merchandise. And yet it still seems that he has yet to really fulfil his potential in the biggest way. Whilst he is a reliable babyface (and one who has headlined 5 PPVs in the last year), one can’t help but feel that it will be when he embraces his inner heel that he will truly excel. His promos could take a darker tone and he could add layers of complexity to his character. In this sense, I would foresee Ambrose as being the foil for WWE’s next top guy. Indeed, Roman vs Dean could be a long term feud, and if you watch the product closely enough , it seems that seeds are already being planted for this match up. When two guys emphasise their close bond in wrestling, you just know they’re going to fight. Here’s the thing: whilst Ambrose would make a great heel, Rollins (who is admittedly a fine villain in his own right) has all the makings of a top babyface. Arguably his 2015 World Title run has started to legitimise him as a star: whilst some have suggested that the reign has been too dependent on cheap finishes, the reality is fans have grown used to him mixing it up in big time main events with the likes of Cena, Sting and Lesnar. His upcoming war against Triple H will likely garner him much sympathy as well as providing opportunity to bust out that snazzy white bodysuit from Summerslam. His ring work is thrilling: breath-taking high spots and aerials set him apart from past champions. Expect Rollins to experience World Title Runs akin to those enjoyed by HBK: that is high praise indeed. Bray is another guy who just hasn’t quite taken off yet but it’s the unrealised potential that makes him remain so exciting. With The Undertaker nearing retirement, there is room for a supernatural monster to rise up the roster and take that trademarked spot. Indeed there are so many comparisons between Bray and Taker: from the unique entrances, the potential for iconic and creepy managers (Sister Abigail is coming and she will be his Paul Bearer) to their athletic big man style. However, these comparisons could also stand against Wyatt making it as the man: legend though he may be, multiple times World Champion aside, Undertaker was never really presented as the franchise player. 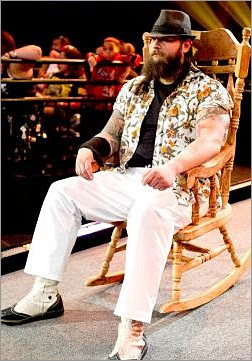 Some gimmicks are too unique, too leftfield to serve as face of the company and that is probably true of Bray Wyatt. 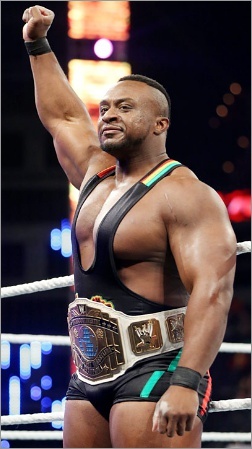 This one might surprise people but Big E has a shot. He was super over as champion in NXT, has one of the best spots in wrestling right now (his spear to the outside of the ring is incredible) and skips and claps like a real pro. The New Day are so entertaining that he will soon have enough credit with fans that a push would be well received. In terms of having the look, only he challenges Reigns. And I’ll bet Big E dances better. So there we have it: a range of varied contenders. If I were a betting man, I’d play it safe with Reigns but I have a sneaky suspicion Rollins will forge a hell of a run in the coming years. Whatever the direction McMahon selects, it will be fascinating to see the reshaping of the landscape. After Cena’s lengthy run, someone else’s time is now. TML (TML) will return on 14th October. Next week's guest article will be another edition of Over the Border from Billy Strachan.